A new Weekly Quest Challenge has just started. This week's quest game is Desert Spy. The challenge is to complete as many of these Quests this week. The top 3 players at the end of the challenge will receive a Easter Costume, 200,000MP and a Gold Trophy, the next 6 players will receive 150,000MP and a Silver Trophy and the next 10 players will receive 100,000MP and a Bronze Trophy. A new Weekly Battle Challenge has just started. This week's opponent is Waste, you will need to have a Waste Trading Card in your Battle Deck. The challenge is to win as many battles against this opponent this week. The top 3 players at the end of the challenge will receive a Daemon Trading Card, 200,000MP and a Gold Trophy, the next 6 players will receive 150,000MP and a Silver Trophy and the next 10 players will receive 100,000MP and a Bronze Trophy. The Lottery has been drawn for this week. ella9375 is the winner of the 152,100MP Jackpot with the winning numbers of 2, 13, 5, 19, 10 and 22! Congratulations! Last Week's Raffle has now ended. nicecat2 is the winner of the Red DNA and 100,000MP prize with the winning raffle ticket number 3986! Congratulations! Make sure you buy your tickets for today's raffle - only 10MP per ticket! A new Winter Costume will be released soon as part of the Winter themed Account Upgrades. The Kujo pet will also be part of the Gold Account Upgrades. Those who have completed the Advent Tree instructions will be able to claim their 2012 batch of prizes by Dec 17th. Sorry for the delay. A new Weekly Quest Challenge has just started. This week's quest game is Simerian Explorer. The challenge is to complete as many of these Quests this week. The top 3 players at the end of the challenge will receive a Robot Costume, 200,000MP and a Gold Trophy, the next 6 players will receive 150,000MP and a Silver Trophy and the next 10 players will receive 100,000MP and a Bronze Trophy. A new Weekly Battle Challenge has just started. This week's opponent is Mount, you will need to have a Mount Trading Card in your Battle Deck. The challenge is to win as many battles against this opponent this week. The top 3 players at the end of the challenge will receive a Cremated Trading Card, 200,000MP and a Gold Trophy, the next 6 players will receive 150,000MP and a Silver Trophy and the next 10 players will receive 100,000MP and a Bronze Trophy. The Lottery has been drawn for this week. shjaky is the winner of the 338,400MP Jackpot with the winning numbers of 6, 7, 5, 3, 2 and 4! Congratulations! Last Week's Raffle has now ended. MrsNickJonas123 is the winner of the Red DNA and 100,000MP prize with the winning raffle ticket number 1308! Congratulations! Make sure you buy your tickets for today's raffle - only 10MP per ticket! Today's random theme is Radioactive!!! These 15 new Radioactive items have been released. The are 12 new Radioactive Pets. There are 4 new Snow Pets avaliable. The Snow Basil, Echlin, Figaro and Hump. The Snowman has got into the Christmas spirit! From now until January 1st, you may randomly receive a new Snowman Trading Card when you complete one of his quests! This item will retire at the end of this event. These new Christmas themed plushies have been added to the Enchanted Plushie Machine. The Kujo, Rofling, Willa and Mordo can now wear the Calico Costume. The Slater Park Goals now have 21 new levels. You can now complete up to Level 32 and receive these new prizes. A new Weekly Quest Challenge has just started. This week's quest game is Travis Truck. The challenge is to complete as many of these Quests this week. The top 3 players at the end of the challenge will receive a Bee Costume, 200,000MP and a Gold Trophy, the next 6 players will receive 150,000MP and a Silver Trophy and the next 10 players will receive 100,000MP and a Bronze Trophy. Six new pets can now wear the Calico Costume - Daisy, Pucu, Sindi, Chibs, Vixen, Yuni and Zoosh. There are 3 new Male Premium Hair Styles now avaliable at the Barbers. These new Echlin Plushies have been added to the Enchanted Plushie Machine. This new Calico Costume is now restocking in the Costume Shop. The Basil, Figaro, Justin, Murfin and Newth are the first pets to be able to wear it. The Old Fairy has just been released! The Old Fairy is the oldest of all of the Maradan Fairies. 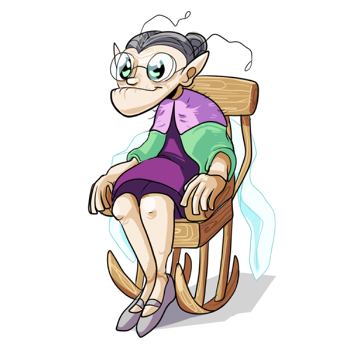 She has many, many years of wisdom but now spends her time alone and retired in Puchalla Village. Her memory is so bad now that she likes looking at Photos to help her remember the past. She gives you these prizes for FREE for having these amount of Photos in your Photo Album. Can you find the Old Fairy Hidden Avatar? The Seasonal Basil, Polar Echlin and Seasonal Newth Pet Colours have been released. There are 4 new Male Premium Hair Styles now avaliable at the Barbers. There are 29 new Hair Dyes restocking, giving you lots of new hair colour options! These new Premium Mouths have been added to the Dentist. There are 29 new Lipsticks restocking, giving you lots of new lip colour options! A new Weekly Battle Challenge has just started. This week's opponent is Cremated, you will need to have a Cremated Trading Card in your Battle Deck. The challenge is to win as many battles against this opponent this week. The top 3 players at the end of the challenge will receive a Nutcracker Trading Card, 200,000MP and a Gold Trophy, the next 6 players will receive 150,000MP and a Silver Trophy and the next 10 players will receive 100,000MP and a Bronze Trophy. The Justin is now avaliable in 7 new colours! This is how the Justin looks wearing the Devil, Geek, Headless, Radioactive, Rainbow, Royal and Shaved Costumes. There are 5 new Snow Pets avaliable. The Snow Zoosh, Pucu, Vixen, Yuni and Murfin. These new limited edition Account Upgrades items have been added for Christmas. They will all retire by December 31st. The Lottery has been drawn for this week. stickittoome is the winner of the 139,000MP Jackpot with the winning numbers of 2, 5, 13, 15, 21 and 25! Congratulations! Last Week's Raffle has now ended. Allsma is the winner of the Red DNA and 100,000MP prize with the winning raffle ticket number 5140! Congratulations! Make sure you buy your tickets for today's raffle - only 10MP per ticket! The November 2012 Monthly Checklist winners have been announced and the prizes have been rewarded. Congratulations to all of those who have won. Don't forget, this is a monthly permanent feature that you can enter for FREE. If you haven't already, you should enter the December event! 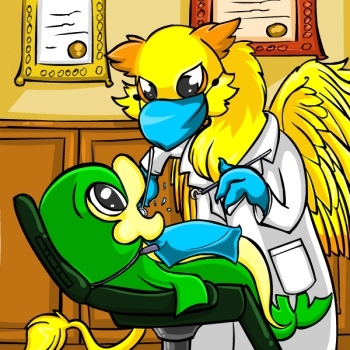 A new Private Dental Insurance Map has been added to the Treasure Maps shop on Minipet Islnad. Collect and complete all 16 pieces for FREE lifetime access to private dental treatment at the Dentist. You will gain access to new Mouths for your character to change to at any time. All of the past event mouths are now avaliable, along with the default mouth and several new ones. Just a reminder that the Advent Calendar starts tomorrow. A whole month of celebration starting on Marapets! If you have completed the Advent Tree map, the 2012 prizes will be avaliable to claim next week.